In November I wrote about the Beaver Pond Forest. It’s part of the ecologically significant South March Highlands in west Ottawa, and much of it is slated to be cleared to build a residential subdivision. Since my November post, Ottawa City Council voted to acquire 4 hectares of the forest from the landowner, KNL Developments, by swapping it with other land. City Council also voted to ask the new Council, which was sworn in December 1, to acquire another 25 hectares from KNL. KNL initially agreed to the land swap, but has withdrawn its agreement. According to the Ottawa Citizen, the developer is not interested in selling any of the 29 hectares. City Council is scheduled to meet this Wednesday, December 15 to consider acquiring the land. Under the City’s Official Plan, the City has the responsibility to acquire ecologically significant natural lands, but it has no funds to support this. A committee of council is considering the matter of financing land purchases. Council still needs to decide whether to buy or expropriate the Beaver Pond Forest land. It would be all too easy to say that Ottawa can’t afford it – but we can’t afford not to protect the area. The community-based Coalition to Protect the South March Highlands has proposed a Stewardship Plan that would preserve the forest and help raise funds for its management as a site for recreation, education, ecotourism and study. They say that the area would generate far more economic and other benefits as a natural landscape than as a residential subdivision. It’s a proposal that deserves further consideration from the City. City Councillors and the Mayor need to hear from people across Ottawa who are concerned about the South March Highlands and what it now contains: over 670 species including 20 at risk, the last remaining old growth forest in Ottawa, significant historical and archaeological heritage, and recreation opportunities for all residents and visitors. Please consider contacting your City Councillor and Mayor Jim Watson (Jim.Watson@ottawa.ca) about this. You can check the Facebook group “I want to save the land North of Beaver Pond Park in Kanata Ontario” for updates. Paul Renaud, a Coalition to Protect the South March Highlands member, also has some moving posts on the Forest and a sample letter to Mayor Watson on his blog. 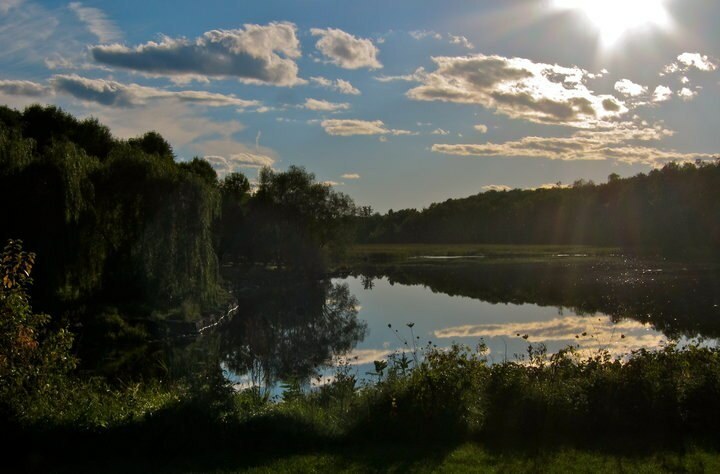 Update: Ottawa City Council decided on December 15 to acquire only 2.4 hectares of the 29 owned by KNL Developments in the Beaver Pond forest. KNL still intends to clear the land to build its planned residential subdivision. It is really unfortunate that the City did not manage to swap the land, I reckon that would be the most viable option, where nobody would have been hurt or damaged. I hope that there would be some solution drawn soon, the one which would not cause much harm to the area.